Taken Aug. 8th, 2007. Nikon D80 dslr, Sigma 18-50 mm lens set at 18 mm. ISO 200, f /8, 1/250th second. Shot as a jpg, finished in Photoshop CC2015. 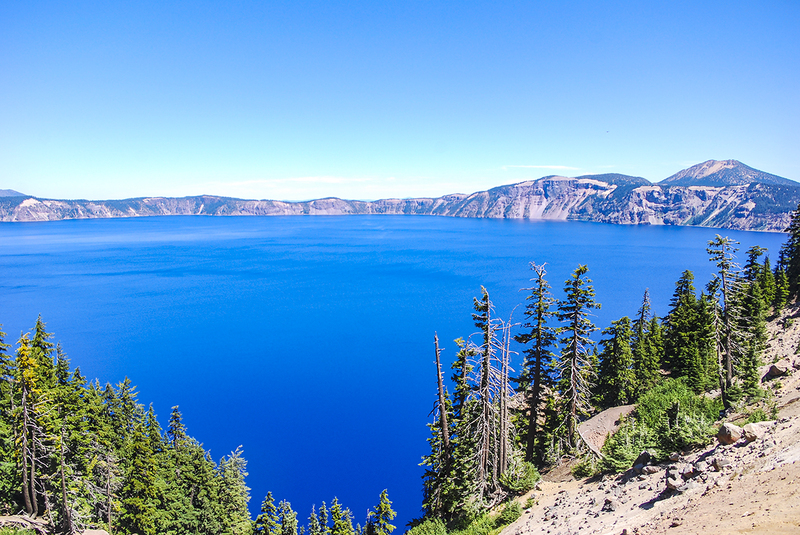 Looking out across Crater Lake (the caldera of Mount Mazama) from the Visitor's Center, Crater Lake National Park.